Meghalaya, dubbed as the abode of clouds, is nature’s home and from what it comes across, all its inhabitants are its tenants. During our stay in the state, we explore the Khasi hills and all the action they have to offer. Although the Jaintia hills and the Garo hills complete the boundaries of the state, here is a go ahead for this north eastern journey. At the viewpoint at Nohkalikai waterfalls, the valley is blanketed in clouds. Nothing is visible except a grey sheet that has tourists waiting. The view is no different at Nohsngithiang Falls, also known as Mawsmai waterfalls or the seven sisters’ waterfalls. Clouds are covering the view of these streams of gushing water; and as these misty companions begin to ascend and descend, revealing the tall waterfalls, excitement fills the air. All those who had been waiting patiently marvel at the view. This game of hide and seek that the clouds play with tourists is part of the fun of being here. 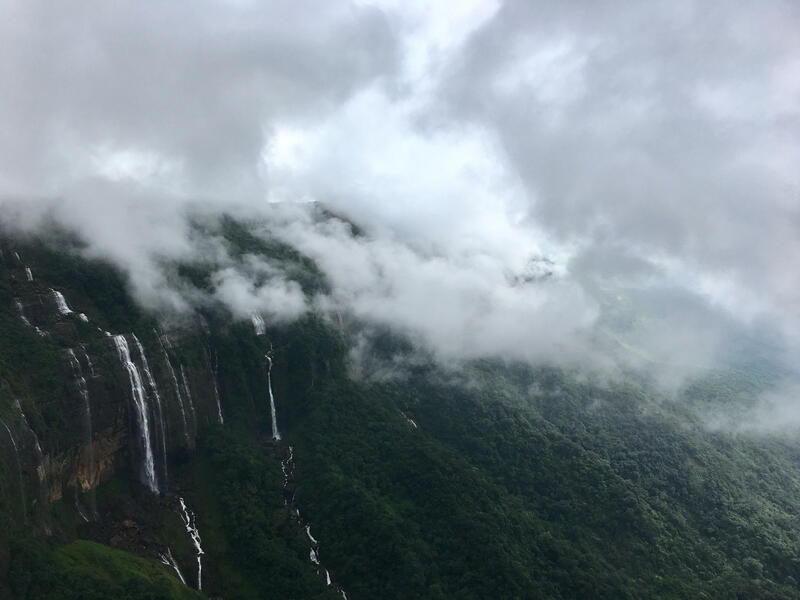 The two waterfalls are located near Cherrapunji, locally known as Sohra, one of the wettest places on Earth and hence are home to clouds all year round. Meghalaya is home to various waterfalls, some popular and some still waiting to be explored. Elephant falls, near the capital city Shillong, is another popular waterfall. For visiting the ones hidden in some remote parts, ask a local and head out with a spirit of adventure but with precaution in foreground. The major caves in the Khasi hills lie in the areas of Cherrapunji, Shella, Pynursla, Nongjri, Mawsynram and Langrin. We head to the Mawsmai caves near Cherrapunji. 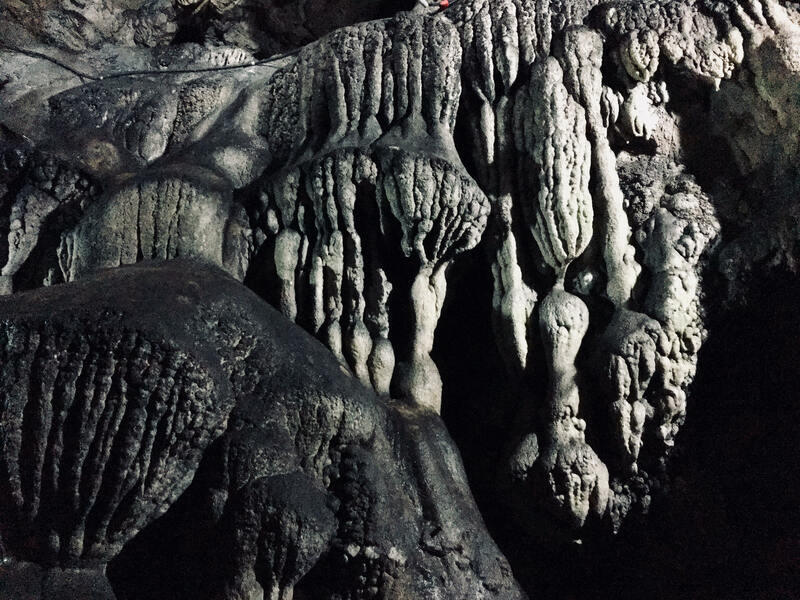 An entry ticket is all it takes to get inside the caves that boast of impressive formations and textures. Although it is not difficult to wade through, people who have difficulty crouching and crawling at narrow junctures walk out half way. The entire cave length is well lit, giving this adventure a smooth edge. Just do not go in wearing shoes that can soak water. Wear slippers instead and carry an extra tee-shirt, as this can be a wet ride. Following the buzz of the town, we head to witness and walk on one of the live root bridges in the state. 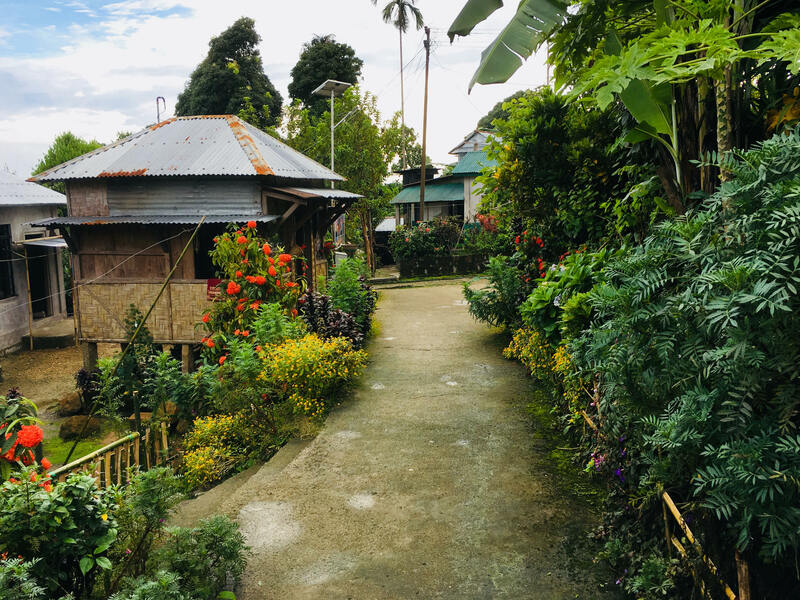 As time is limited, we ditch the idea of going to the double decker bridge in Cherrapunji that demands an entire day’s time and instead head to village of Nohwet. About 70 kms from Shillong and past plantations of broomsticks and areca nut trees, this village is known for a living root bridge, along with a view point that faces Bangladesh and an eco- point, which together make for an ideal touristy package. 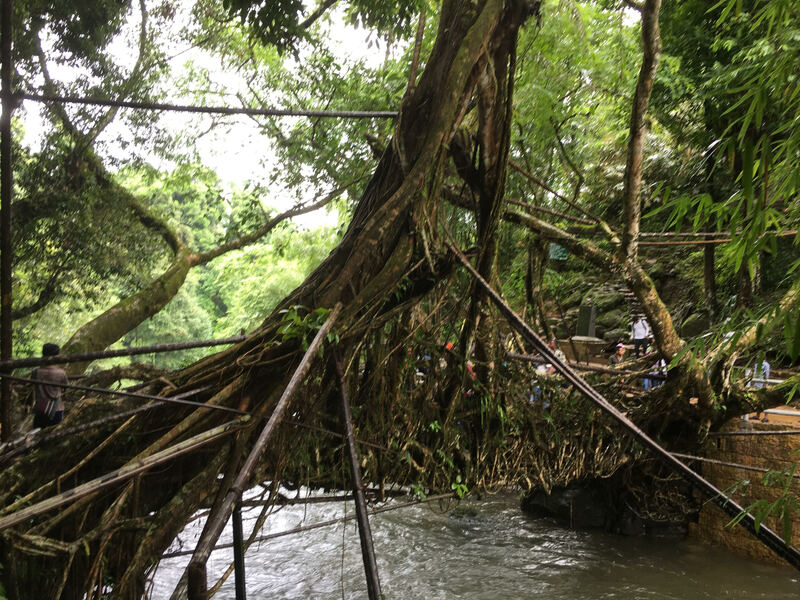 As the legacy is, locals from such far flung areas in the state began to fashion living roots’ bridges by weaving together roots of rubber trees into the hollows of areca nut trees. The entwining and entangling grew on its own over time, becoming stronger and taking natural shape. Atop many rivulets across the state, these bridges were meant for the locals to survive, but are now traversed for tourists for the rarity they are. The dorbar shnong or the government of the local people continues to take care of their handy work that has caught international attention. Tired from the trek to and fro the living root’s bridge, we decide to take respite at Mawlynnong, Asia’s cleanest village. Although there are small restaurants in Nohwet, many tourists stop at this famed village to witness its beauty and savour some staples. Mawlynnong was declared Asia’s cleanest village in 2003. Home to about 500 people, who are passionate about cleanliness, it continues to hold the title. Each resident participates in daily, weekly, and annual cleanliness drives. The village is also one with a high literacy rate and does not face many problems. The only disappointment the locals confess is the lack of respect amongst the tourists, who litter the place and do not respect the sentiments of the locals. Nevertheless, the residents continue to serve the guests at their home-stays, eateries, and handicraft shops. Meghalaya ventured into tea cultivation much after its neighbouring state of Assam and Sikkim; but due to favourable climatic and soil conditions grew into a prospering name in the Indian tea industry. 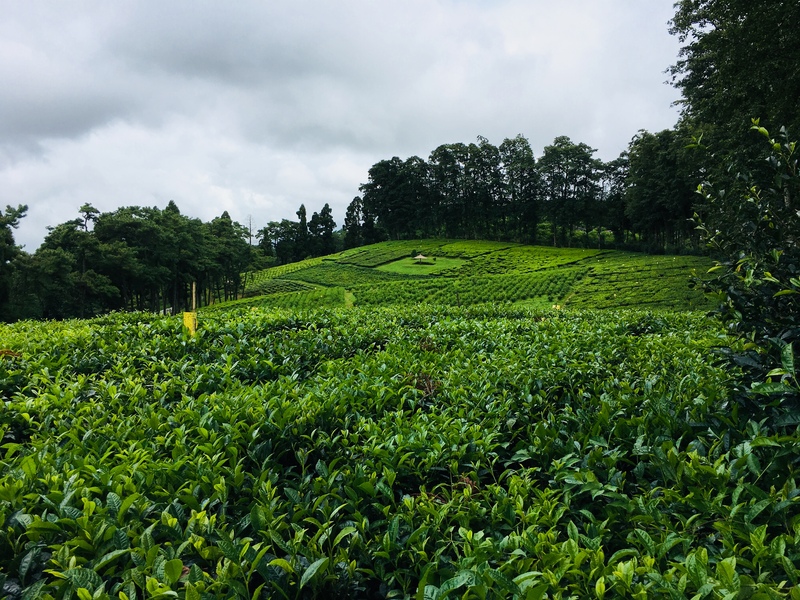 It is now taking steps towards tea tourism, with many private tea estates such as the Anderson Tea Estate venturing into the tourism trend and working towards offering cottages within its vast compounds. Government run tea estates such as the Meg Tea in upper Shillong also welcomes visitors to observe and learn about the process of growing and tearing tea. As the Khasi women, dressed in their traditional jainkyrshah (apron like garment worn while doing domestic or other daily chores) plucked individual tea leaves, we took in the silence of the estate and its beauty.